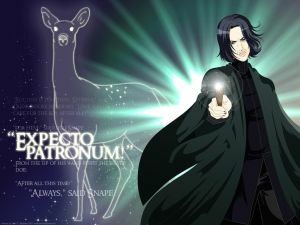 Solving Snape’s Logic Puzzle | Expecto Patronum! 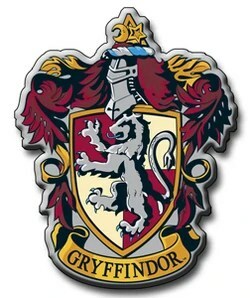 If you googled this page in order to solve the puzzle for Pottermore, the two possible solutions to the rhyme can be found at the bottom of this post. One of those solutions is correct. If you look at the bottles on Pottermore, you can easily see which one it is. The rest of this page explains the logic behind those two potential solutions. And, of course, if you don’t make a choice, you’re stuck in the chamber forever between the purple flame and the black. Nice. Now, let’s look at the clues that help Hermione make her choice. Now, let’s insert the constants: the elements second from the left and second from the right are identical (though in different-looking bottles), and poison will always be to the left of nettle wine. There are actually two possible ways to arrange these bottles, depending on whether “to nettle wine’s left side” means from our left or from the wine’s left. But both arrangements ultimately lead to the same end solution of the puzzle. Notice that whichever way we do it, we satisfy the requirement that the elements second from the end (Position 2 and Position 6) hold the same contents (2-Wine, 6-Wine; or 2-Poison, 6-Poison) – and we also satisfy the requirement that on either end, poison will always appear to the left of the wine – depending on whose left we’re using. I’ll just say right now that I think the first layout (1-Poison, 5-Poison) is the correct interpretation of “nettle wine’s left side” – for reasons that I hope will become more apparent further down. Okay, so now that we have positioned the poison/wine sequences (the constants), we now have three bottles remaining. One is poison, one moves you backward, one moves you forward. Poison cannot be in either a very large or very small bottle. The bottle on one end of the line cannot hold the same contents as the bottle on the opposite end of the line. And neither of the bottles on the end will move you forward. As I mentioned above, I think that “nettle wine’s left side” is referring to our left – which means that poison, not wine, is in the bottle at the left end of the line (in Position 1). Why? Because Hermione is absolutely certain that the bottle on the right end of the line (in Position 7) is the potion that moves you backwards through the purple flame. Wine in Position 1: If the bottle in Position 1 contained wine, then the bottle in Position 7 could theoretically contain either poison or potion. (Notice that I said “theoretically.” We already know from the text that it contains the potion that moves you Backwards). However, if Position 7 were really up for grabs between poison and potion, then we would expect a visual cue (i.e., bottle size) to tell us where the poison is not located. No such bottle exists in Position 7, so if wine is in Position 1, Hermione could not be so certain that the bottle in Position 7 contains the “Backwards” potion. Poison in Position 1: Since Hermione’s solution for Position 7 does not depend on a visual cue, I would suggest that she is using our left as her reference point. That way, the bottle in Position 1 contains poison… and the bottle in Position 7 cannot contain poison (“different are those who stand at either end”). So, can we solve for Position 3 and Position 4? Not conclusively, without seeing the bottles. Here’s what we know: Of these two bottles, one must contain poison. The other must contain the potion that moves you forward. The only way we would be able to tell which is which would be by a visual cue. And we know from the text that the bottle containing the “Forward” potion is the smallest bottle in the line. Poison alternates with wines and potions. Notice that in this solution, the sequence is Poison-Wine-Forward (1-2-3), Reset (4), Poison-Wine-Backward (5-6-7). The middle position (also containing poison) serves as the “reset,” with symmetric mirror sequences on either side of it. Either solution, I think, is inconclusive, given that we cannot actually see the size of the bottles… and that bottle-size is actually part of the puzzle. All we can do, in the abstract, is narrow down the field so that the final choices are limited to Position 3 and Position 4 and then solve for those positions based on bottle size. But we can at least do that. Hey, thanks for the link to the alternate solution! That’s something I’ll definitely have to take a close look at! this is so cool! i tried 2 solve it when i read the 1st book but gave up after the 3rd line. it is all clear now! 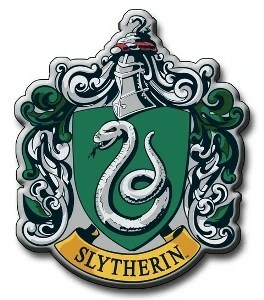 I so excited for Pottermore. I don’t do logic so this helps. :) Glad it helps. We’ll know more when we actually see the bottles. I’m pretty sure I won’t actually be able to post the picture without violating Terms and Conditions. But I might be able to sketch bottle sizes so that I can show people the actual sizes of the bottles. That does excite me! We saw a picture of what looked like the puzzle, but I wasn’t sure if it was the real deal or just some clever fanart. Inspired by my recent Pottermania I tried to work it out. Just my two cents… i love puzzles involving logic, but it’s pretty hard to explain. I’ll give a try. I saw it didn’t match with your solution..
PS: I didn’t re-read the chapter and I didn’t read your entire analysis (because I wanted to figure out for myself), so I’m only based in the verses. There are 3 bottles of poison and seems to me that the poisons aren’t equal and… wine is a couple, so I just feel that it is talking about the wine. So, it certainly doesn’t mean our left, but the wine’s left. We can already put 2 bottles os poison. So we know that the first is not poison. So the A is not in the first position. It can be either in 4th our 5th position. I’ll be back to take a look at your work here once I’ve had a chance to do the logic puzzle inside Pottermore myself. :) I’m really looking forward to having a conversation on this! But we’ll all be able to see for ourselves very soon! Take a close look at the post. Look at the bottles. Find the forward potion and the backward potion. You can do it yourself. I’m sure you can. but you have to choose 2 potions and nothing works! only 1 is the right one but you have to choose 2… ugghh so frustrating!! There are two potions that work correctly for me. You have to choose forward and backward. Above, under “A Final Solution,” there are two answers for where the forward and backward potions are located. One of those answers is correct. If you look at the bottles and read the passage in the book, you should quickly see which one is the correct solution. I believe that when it says “Niether dwarf nor giant holds death on their insides;” it isn’t saying giant as in height, but rather width. I imagine it would be more specified to the height if it was in reference to that dimension of the bottle. Oh wow. When I solved Snape’s puzzle while reading SS on Pottermore, I just guessed. And I got lucky. I really should’ve have tried that solution. The Sorting Hat really should’ve put you in Ravenclaw! 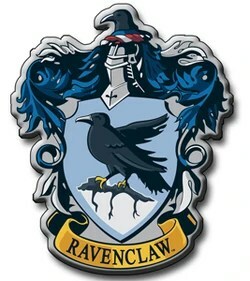 Ha ha, I’m a Ravenclaw, although a few other quizzes say I’m a Gryffindor, a couple say I’m a Slytherin, but most, including the Pottermore Sorting Hat, say I’m a Ravenclaw. Squawk!